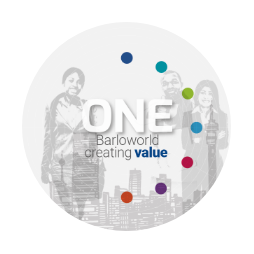 Barloworld remains committed to building a workforce which reflects the communities in which we operate. As a world-class organisation with a broad array of stakeholders, we believe that diversity is what helps maintain our winning edge. Within all areas of our business we strive to create an inclusive talent pool, one which taps into the vast potential found across races, genders, sexual orientations and other demographics. While great progress has been made, diversity and inclusion remains a key focus area for Barloworld and continues to be central to our success. We understand that equity is central to achieving equal opportunities and the principle is applied fairly and justly. Equally, we value the competitive advantage inherent in a diverse workforce and are committed to an employee complement that reflects the demographics of the countries in which we operate. By identifying a high-performance culture as a strategic objective, we ensure group and individual commitment to equality in the workplace across all operations. Race, gender and disability are addressed in employment equity, transformation and empowerment targets in South Africa in line with legislation. Localisation and gender objectives are set in non-South African operations in accordance with local demographics and legislation. Required employment equity plans and progress reports are submitted in South Africa and other southern African countries. These plans set out employment targets that address race, gender and disability. In South Africa, Barloworld follows the Department of Trade and Industry’s (dti’s) broad-based black economic empowerment (B-BBEE) scorecard with the target for all South African operations to achieve a level 4 or higher according to the revised B-BBEE Codes of Good Practice. b. The definition used for 'significant locations of operation'. Remuneration practices are regularly reviewed and the group is committed to removing any unfair discrimination in pay scales. In South Africa, differentials are disclosed in terms of employment equity legislation, this covers 81.7% of group employees. A detailed review of the average basic monthly salaries for males and females was conducted by employee level (and by region) and did not reveal any structural discrepancies or discrimination. These are conducted with a view to ensuring equality in remuneration practices. The ratio between males and females vary by scale and favour depending on job role and tenure. Given the vast range of countries, industries and job categories, it is not practical to disclose the ratio of basic salary of men to women by employee category. As the group has implemented the Towers Watson (TW) global grading system in all operations, its positions are graded accordingly. Wage and salary levels are benchmarked by country and TW category. This ensures equity and non-discrimination in remuneration practices.